Do you have an Instant Pot? Maybe just got one and looking for easy recipes to make? Well, this recipe is super easy and oh so tasty! Plus, it is also healthy for you. 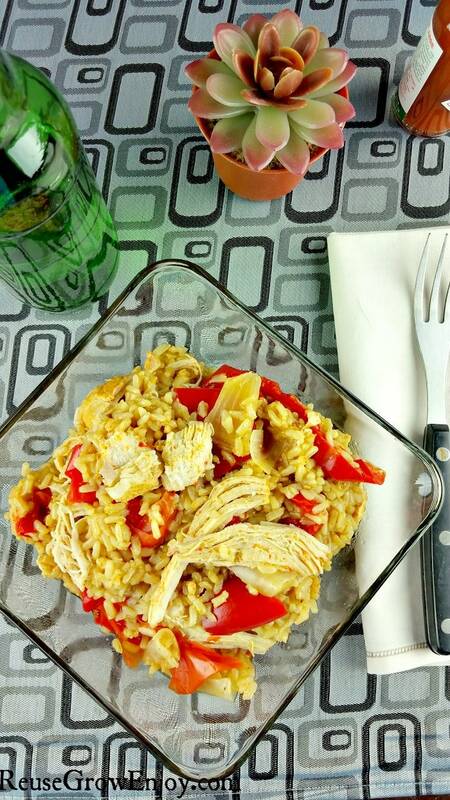 It is an Instant Pot Chicken Fajita Rice Bowl recipe. If you do not own one yet, you totally should jump on board. It will be the best kitchen tool you ever buy! I have tried some others and they are ok, but nothing like the Instant Pot I now have. I will never be without one again. So much so, we even take it on vacation with us! While I do use rice in this recipe, if you are doing Whole 30 or Paleo, you can simply leave it out. You could also replace it with cauliflower rice if you wanted too. Pictured you see red bell peppers in my bowl, feel free to use whatever bell pepper is on sale or in season. I have made it with yellow, orange, green and red and they all taste great. If you like this Instant Pot recipe, here are a few others to check out. Such an easy Instant Pot recipe to start out with. Not only is it easy, it is tasty and healthy too. 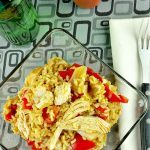 You will be making this Instant Pot Chicken Fajita Rice Bowl over and over again as it will become a family favorite! Add water and seasoning to the inner pot and mix. Then add rice to water mixture. Dump peppers and onions on top of the chicken. Place top on pot and lock in place. Close the valve and push the poultry button. It should have 25 min cook time on there. If not, push the + button until you see 25 minutes. Allow to cook. After it beeps that it is done, use quick release by opening the valve to vent. After pressure is out of the pot remove the top. 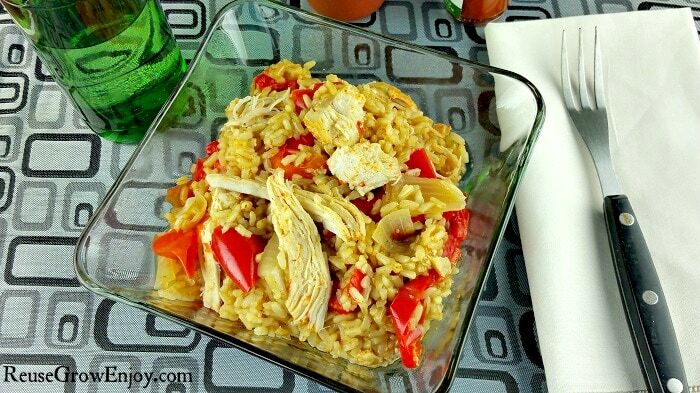 Pull out the chicken and shred it on a plate using a fork and then return to pot. You can now scoop out servings and put them in bowls. Feel free to top it with some extra toppings if you like. Such as cheese, sour cream, taco sauce or hot sauce.